Join us "behind the fin" with John Aaron. John has been a local chapter president, Vice President of CCTU, Board member of two chapters, and a fund raiser for both local chapters and the State council as well as a behind the scenes advocate for trout and clean water for years. What chapter are you involved with? Originally, with Wild Trout chapter which became the Denver chapter, then with Cutthroat Chapter. Was looking for a group that was flyfishing oriented and might know where to catch them. Too many to account for, but a couple that stand out, fighting the building of the proposed Two Folks dam, and the establishment of the South Platte restoration program with Todd Fehr, resulting in the restoration of miles in in town fisheries. Wind River in Wyoming and the Conejos River in Colorado. Did I mention Belize? Enhancing the living places of fishes no matter the species. Working on additional restoration efforts through non-TU projects, teaching new comers, Fly tying and attempting to raise the awareness of politicians to environmental concerns. Runners Giving Back to Rivers? Trout Unlimited has been very active since the floods of 2013. Four of our twenty four chapters were impacted by the floods; Alpine Anglers (Estes Park), St. Vrain Anglers (Longmont), Boulder Flycasters (Boulder), and Rocky Mountian Flycasters (Ft. Collins). Our chapters have been on the ground and working with existing partners like federal and local level governments, ditch companies, land owners, biologists and water suppliers; but recently an unexpected partner approached us and wanted to get involved in what we were doing. When all of that rain began to fall a lot of people had to change their plans. There was no exception for the Road Less Traveled Relays and Runners team whom organized the Flaming Foilage Relay. The runners had trained to complete this long and difficult race, and the race organizers had everything ready to go until the rain started to pour. Unfortunately, after all of the preparation, the 165 mile relay race from Idaho Springs to Buena Vista had to be canceled as it was scheduled the same weekend the flooding occurred. Of course the runners were disappointed, but they were very understanding. All of the runners had already registered and paid for the race, and their money was non-refundable; even in the case of the flood. However, Paul Vanderheiden, the Race Director who works for Timberline Events wanted to do something with those registration fees that would give back to communities involved in the flood. Paul got in contact with the runners and promised the participants that he would make donations to groups that helped out people affected and/or groups helping with the rebuilding. Paul started to search for member groups that were involved in flood restoration projects. Paul found information online about all of the work that Colorado Trout Unlimited had been doing with the flood restoration so he contacted Colorado Trout Unlimited wanting to donate to our efforts. This donation, courtesy of Roads Less Traveled Relays and Runners, will be used for on the ground restoration in the communities that were impacted from the floods. For a lot of people the floods of 2013 were a horrific time. Thanks to groups like Roads Less Traveled Relays and Runners, Colorado Trout Unlimited can continue to be an active part of rebuilding the South Platte Basin. Timberline Events LLC has been a member of 1% For the Planet since 2006 and we thank them for giving back to conservation groups like Trout Unlimited. Colorado's Water Plan Needs to Hear from TU and YOU!! The need for Colorado’s Water Plan has been coming for a long time. Colorado is one of the only states in the West that does not have a formal water plan. On May 14, 2013 Governor Hickenlooper issued an executive order directing the Colorado Water Conservation Board (CWCB) to commence work on the first ever Colorado Water Plan. The plan is intended to help Colorado prepare for its water future. Specifically, Governor Hickenlooper ordered that the plan address the projected shortfall (aka “the gap”) between future water supply and demand and help Colorado reduce the practice of converting agricultural water rights to municipal water uses (aka “buy and dry”). A draft of the plan is due to the governor by the end of 2014. The final product is expected one year later. The CWCB has directed the public to comment on the water plan efforts via the nine Basin Roundtables. This is the route we must take to get our comments incorporated into each of the basin plans. The basin roundtables have been instructed to gather comments from the public and deliver their draft basin specific plan by July. In order for us to get comments incorporated into those basin specific plans we need to get to work quickly and have our comments to them before March 2014. Each of the basins are using the Statewide Water Supply Initiative (SWSI) report that they developed in 2010 as a starting point to develop their water plans. In this report the gaps, important water projects, supply needs etc. have been already identified in each basin. Trout Unlimited has been working the past couple of months to develop an easy way for staff, board, chapters and members to provide comments on the water plan and have an opportunity to get the unified Trout Unlimited voice heard in each of the river basins. All 24 Chapters across Colorado have received the materials that they need in order to provide educated comments to each of their basins. If you would like more information about this effort or would like to receive the materials prepared please contact Stephanie Scott at sscott@tu.org. For more information from the State on the water plan, visit the website at www.coloradowaterplan.com. 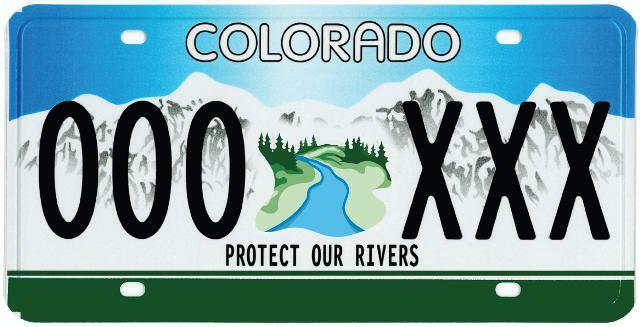 Developing Colorado’s first ever water plan is not an easy task; however as a river conservation organization we could not let the opportunity pass to provide comments that would protect the fish and water that we as members need in our life in the future. We would love to hear comments from our members on what they would like to see incorporated into the plan. After a long drought in the northern reaches of Colorado, we would love to officially welcome the Yampa Valley Fly Fishers Chapter to Trout Unlimited. The link below is a great story by Explore Steamboat welcoming them to the fold. Awesome!